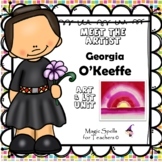 This art/writing project will have students creating drawings in the style of Georgia O'Keeffe and writing about it! 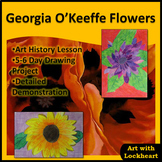 Have your students draw the one of the 30 flowers shown, then have them do a follow up writing piece describing the flower or discussing what they learned about Georgia O'Keeffe. 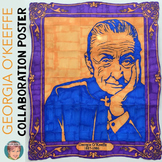 This power point presentation is all about the famous artist, Georgia O'Keeffe. 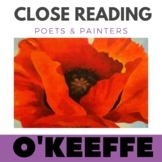 The presentation discusses her life as a child, as she grow up into an adult & as an elderly woman.